Motorola (MOT), the inventor of Six Sigma, is in big trouble. Even though it invented Six Sigma, this is a clear example that shows how Lean or Six Sigma are not a cure-all for corporate woes, but that good leadership and a winning strategy are key in a competitive world — Lean or Six Sigma is necessary, but not sufficient. 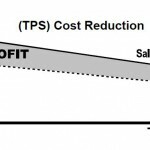 Regarding (1), Porter argues that, regarding (1), the firm must choose a position — one that sets the firm apart from its competitors; a position that makes the firm and its products or services uniquely and competitively different and leads to a sustainable and profitable competitive advantage. Porter then claims that an important aspect of strategy is deciding what NOT to do — the art of exclusion. Regarding (2), a firm will undoubtedly engage in activities that are similar than the competition. For example, take a traditional internet retailer — a firm in that space will usually have a front-end store and a fulfillment back-end. To set the firm apart on similar activities from its competitors requires that the firm perform those activities better — with better quality, lower costs, with better service, and deliver quicker than the competition. 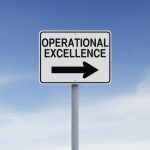 Deploying a Lean or Six Sigma culture within your firm is essentially an activity borne from (2) — but it is not a panacea; by itself, a culture of Operational Excellence will find itself lacking in a hyper-competitive world. While Motorola might remain one of the hallmarks of Operational Excellence, it has, over the years, essentially failed to engage in activities that are uniquely and competitively different than the competition. Speaking as an outsider, it appears that Motorola has continued to run an efficient business, producing products and services with few defects and delivering on-time, but products and services in a market that has changed to demand less and less of Motorola products, in favor of competitors products, such as the Apple (AAPL) iPhone. The theme, I see, with most corporate problems, overwhelmingly points to Leadership. 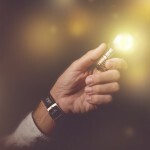 The OPPOSITE of long-term thinking, inspiring, visionary, humane, collaborative, reflective, selfless, nurturing, interested, responsible, and mobilizing is what seems to be what most companies elevate to the Chief Executive position. For me, that statement elegantly summarizes the the essence of Leadership — the type of Leadership that is capable of satisfying both (1) and (2) above. Excellent post! No only was Six Sigma necessary but not sufficient to Motorola’s success, it may have directly impacted the strategy to keep them in the game. When digital cell phones started to come out, they consciously decided not to shift from analog because of “quality”. Digital just wasn’t good enough quality wise (in terms of sound, I suppose) to analog. I think this decision to adhere to quality (who could argue with that back at the time) allowed a fledgling Nokia at the time to become what it is today. 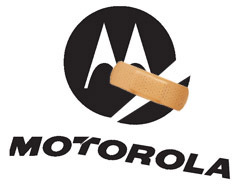 By the time Motorola figured out what was going on, it was too late. They’ve done some good things with RZOR and recent phone models but not enough to get them out of a foundering state in my opinion.